Natural Light for everyone ! 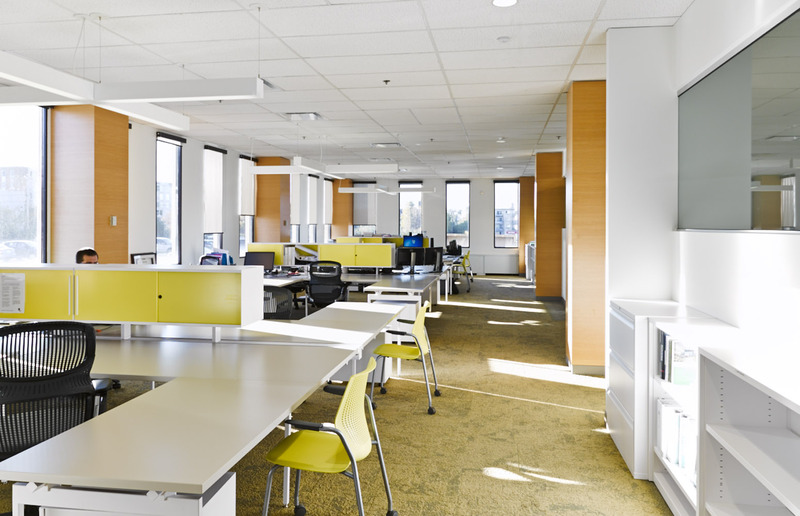 A new division of 26 employees called for an extra space in the Montreal Stantec offices. A 10 000 sq. ft area was designed and built to house the new team. 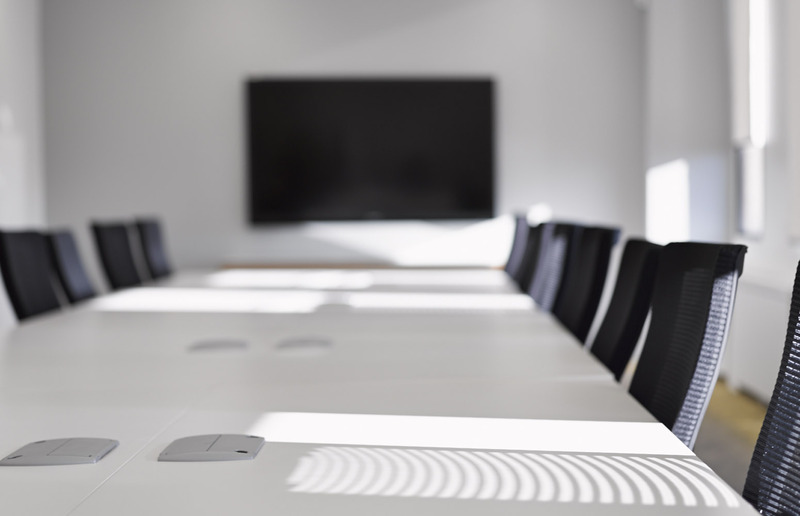 It includes open work plans, an exchange and consultation area for ad hoc meetings of 4 to 6 people as well as larger closed and modular conference rooms for either larger meetings of day trainings. The layout was built to simplify the teamwork and maintain strong communication between colleagues all of course, within a nice design. 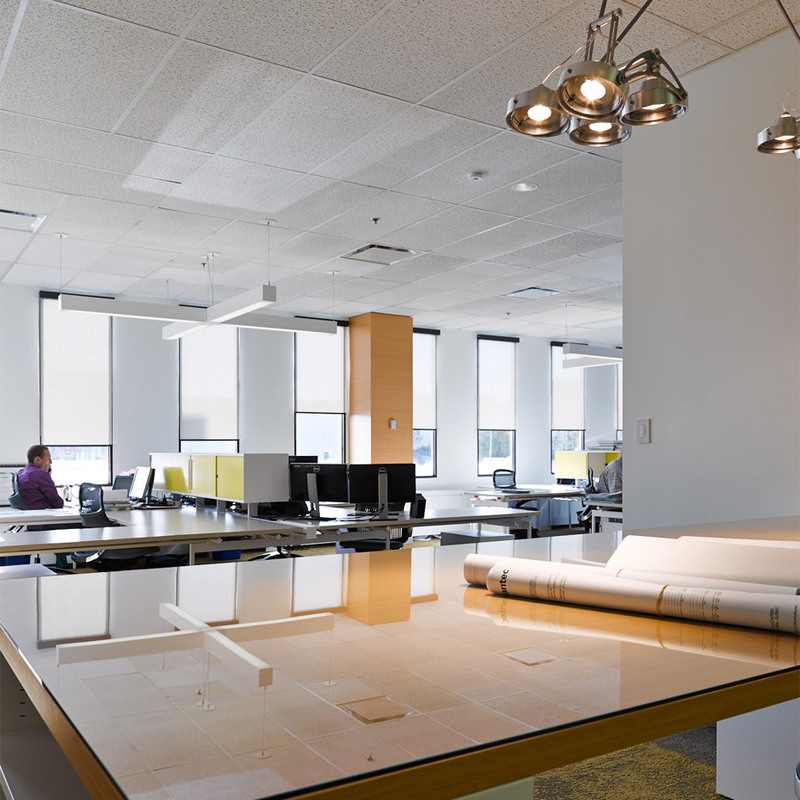 It quickly became apparent that light was an issue as we feel strongly that all employees should benefit from natural light. 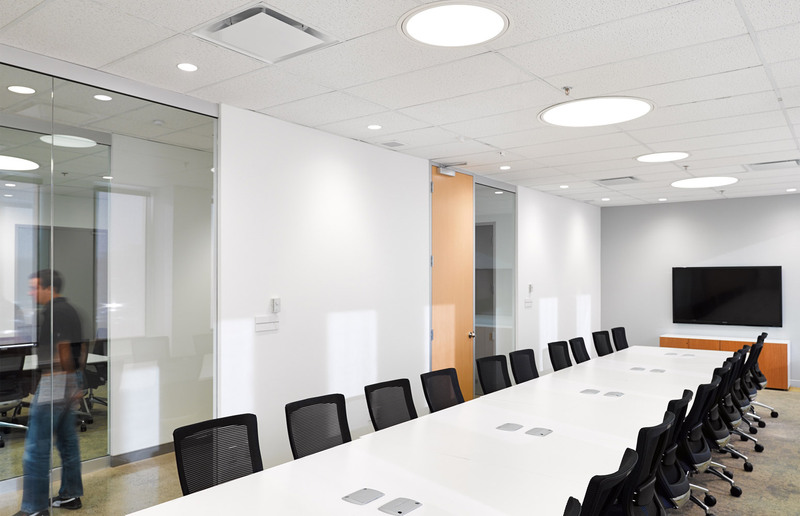 We agreed with the client to install an electronic sensor light system activated by natural light and motion in order to maximize the influx and minimize the environmental impact. 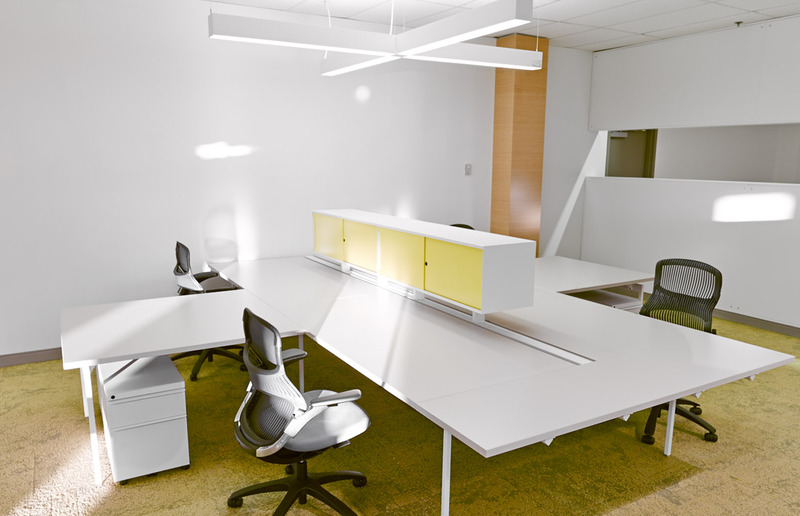 To ensure fluid communication between employees, an open space layout was decided. Each team of four was placed in a cross formation. The simple and efficient furniture layout is mirrored by the light fixtures; adding to the sense of order. Closed offices were placed in the center to help divide the different teams. The large windows are carefully positioned to allow the light to travel through while maintaining privacy for the directors.